The midge Contarinia coryli causes galls to form in the catkins of Hazel. 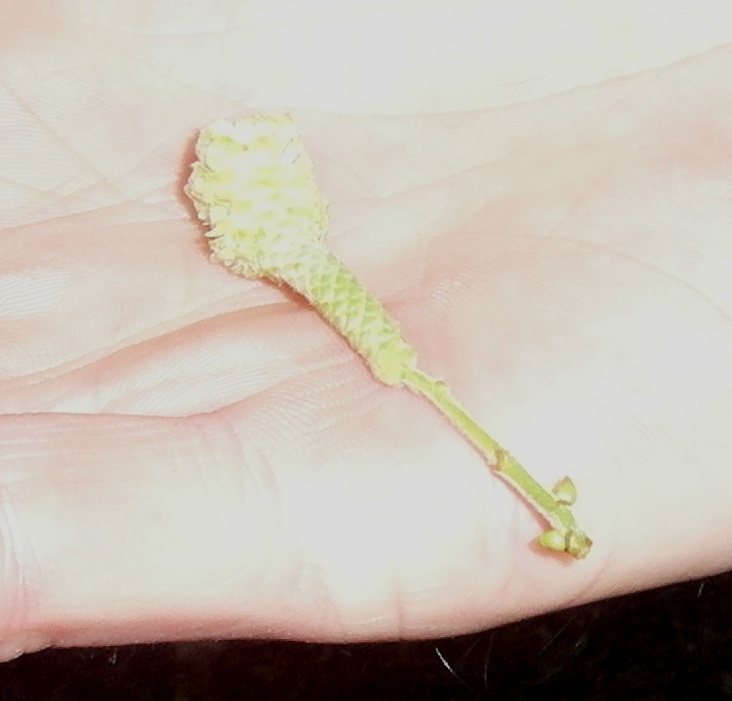 There are two very similar galls on Hazel catkins. One (Phyllocoptruta coryli) contains mites, whereas Contarinia coryli contains white jumping cecid larvae. To distinguish between these two - the galls must be opened to confirm whether mites or gall midge larvae are present. Images appearing in a red box may well be Contarinia corylibut the content of the gall were not examined as required above. Anywhere that Hazel catkins are found. Any time that catkins are present on Hazel. Probably widespread and fairly frequent, but not well recorded in Britain.